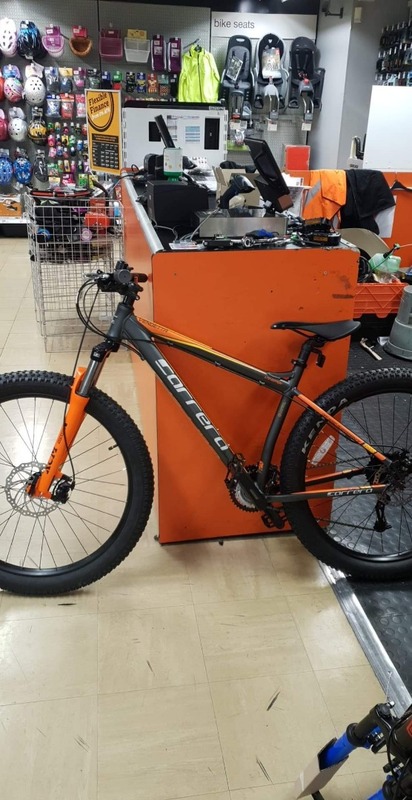 Carrera Vendetta bike, limited edition. 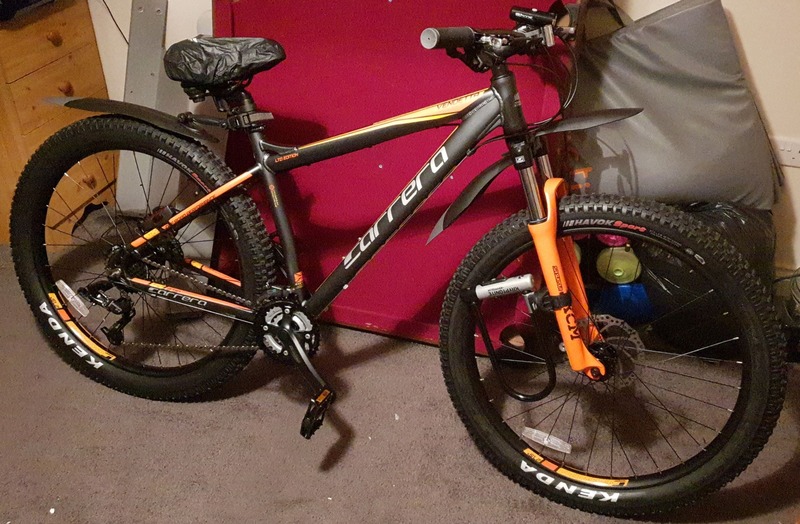 Mens adult bike, the tires are thick, both have the kenda label on the tires. The frame is a dark grey, with orange and yellow stripes/patches on. 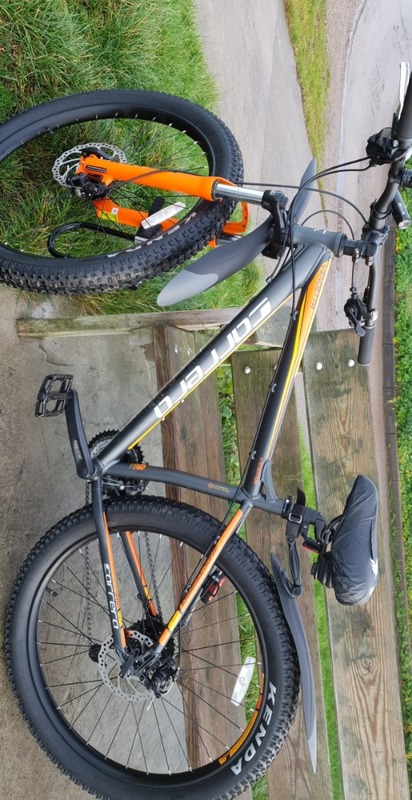 It was stolen with a bike seat waterproof cover on, which is black with a white font on. The seat isn't the regular seat I got with the bike, its cushioned but has a tear on it in the shape of a V.
It was also stolen with a vol light and cat eye light, for the front and rear, the rear light was attached to the frame by the wheel. The back mudguard was still on the back but the front had snapped off. Also the chain was an orange colour (rust) when stolen as it's been left in the rain. This all could have been changed so can people just look out for the number and if theres a snapped mudguard in the front? Could have jumped over the wall, or could have walked straight in through the front door or back door. Shared over social media to all local groups/sites via Facebook asking people to share. Done this every 3 days to ensure that the thief wasnt able to move the bike due to it being too hot to handle. Also thanked everyone on Facebook for doing so! Offered a reward. Dont give up!